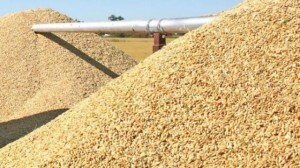 Home » Agriculture, People & Places » Will Cheaper Rice Reach Belize? The controlled price for locally produced rice is ninety cents per pound, but it is retailing anywhere between one dollar and twenty cents to one dollar and forty cents. This all came to light because businessman of Extra-House, Jack Charles, wants to import rice from Guyana and says he can bring it into the country for as low as sixty-nine cents per pound. According to Charles, a handful of importers are setting the price, causing consumers to pay more than they are required to for the staple. Charles has sent out a chart which shows that in May 2014, Belize imported huge amounts of rice from Guyana, as much as fifty-three containers and rice importers made over seventy-seven percent profit or one point three million dollars. This is all what jack Charles is saying, but we could not get a comment today from the Bureau of Standards or from the Ministry of Agriculture. Now, experts believe that under the Treaty of Chaguaramas, if Charles persists, he may get the Guyanese rice into the Belize market at a lower price than what is the controlled price.